Voters unsure of their polling place for Tuesday’s primary election use San Diego County’s online locator, the county registrar reminded residents Monday. Those interested can enter their address at www2.sdcounty.ca.gov/rov/Eng/Polling.asp . Polling places can change election to election, according to the registrar. Those who vote by mail but haven’t sent their ballots can also drop them off at one of the county’s 1,444 polling places, including the Registrar of Voters office located at 5600 Overland Ave. Voters can cast ballots between 8 a.m. and 5 p.m. Monday and 7 a.m. to 8 p.m. on Election Day. “So far, we have received 265,000 out of the more than 1,100,000 mail ballots that were sent to voters. They’re being sorted and scanned now so they’ll be ready to count right when the polls close at 8 p.m. on Election Night Tuesday.” Registrar Michael Vu said on Monday morning. Election materials are also available in Spanish, Filipino, Vietnamese and Chinese for voters who need language assistance. 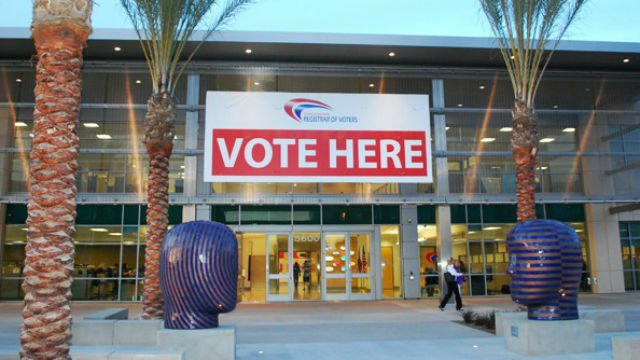 For more information, visit sdvote.com.